SU ha studiato Fotografia alla Beijing Film Academy. Le sue opere sono state esibite in diverse mostre collettive ed individuali in Europa, Nord America e Asia, in location quali Musée du quai Branly, Benaki Museum, UNM Art Museum, Derby QUAD Gallery, Belfast Cultúrlann, The Center for Fine Art Photography, Newspace Center for Photography, United Photo Industries HQ Gallery, Actual Size Los Angeles. Il suo lavoro è stato presentato su pubblicazioni quali The New Yorker, British Journal of Photography, Blink, GUP, Voice of Photography, China Life Magazine, Chinese Photography, Aura Magazine. SU è stato finalista all’APA / Lucie Foundation Scholarship nel 2014. E’ stato incluso tra gli Ones to Watch 2015 dal British Journal of Photography, così come tra i Magnum 30 Under 30. 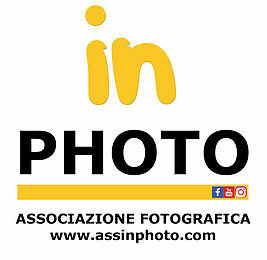 Recentemente ha ricevuto un Arte Creative Award dal Düsseldorf Photo Weekend, un IdeasTap Award dal Format Festival, un Grand Prize da Feature Shoot Emerging Photography Awards, e un secondo posto al PMH 2015 Grant. Su vive attualmente a Pechino. Su studied Photography at Beijing Film Academy. His work has been exhibited in various group/selected/solo exhibitions in Europe, North America and Asia, including Musée du quai Branly, Benaki Museum, UNM Art Museum, Derby QUAD Gallery, Belfast Cultúrlann, The Center for Fine Art Photography, Newspace Center for Photography, United Photo Industries HQ Gallery, Actual Size Los Angeles. His work has been featured in publications such as The New Yorker, British Journal of Photography, Blink, GUP, Voice of Photography, China Life Magazine, Chinese Photography, Aura Magazine. Su is a finalist of APA / Lucie Foundation Scholarship in 2014. He is included in the Ones to Watch 2015 of British Journal of Photography, as well as the Magnum 30 Under 30. Recently he has received an Arte Creative Award from Düsseldorf Photo Weekend, an IdeasTap Award from Format Festival, a Grand Prize from Feature Shoot Emerging Photography Awards, and a 2nd Prize from PMH 2015 Grant. Su is currently based in Beijing.